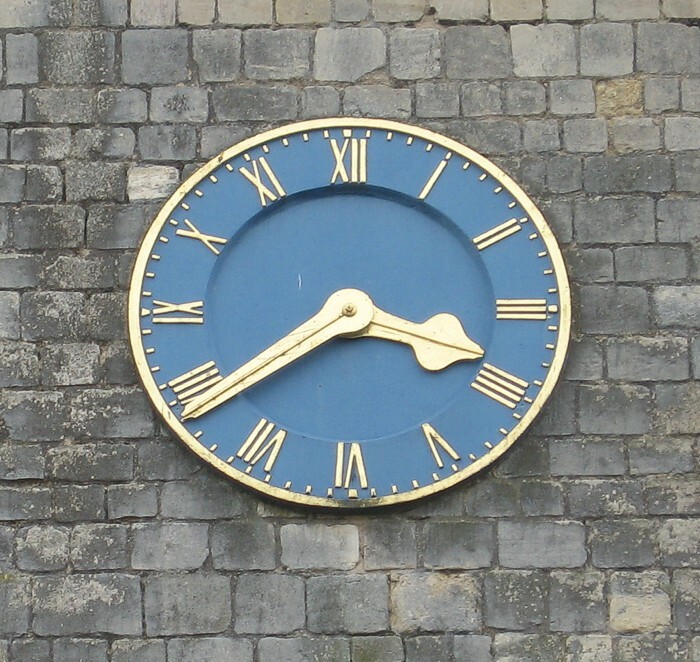 There is a turret clock positioned on a gantry on the south side within the first floor chamber of the tower. It is by William Potts and Sons of Leeds and is dated 1883. 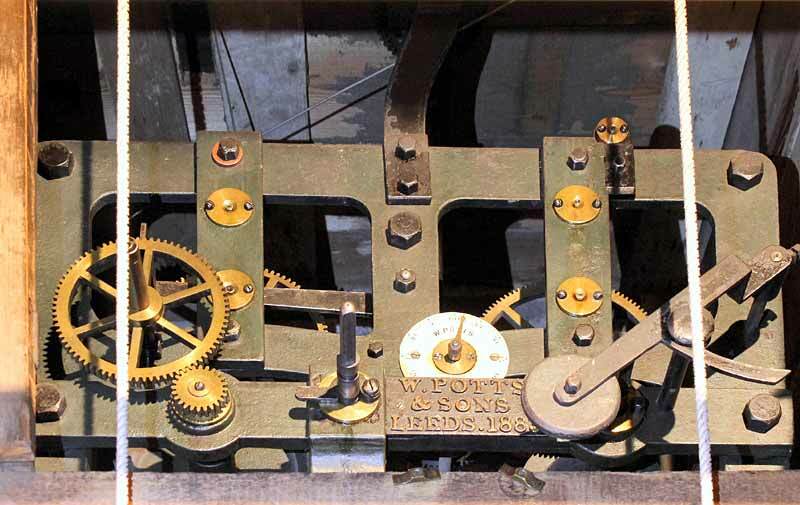 The clock has both going and striking trains.